A philosophical first-person puzzle game from Croteam, the creators of the Serious Sam series. 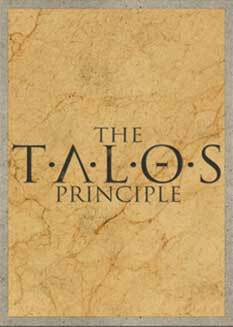 ​The Talos Principle is a philosophical first-person puzzle game from Croteam, the creators of the Serious Sam series, and written by Tom Jubert (FTL, The Swapper) and Jonas Kyratzes (Infinite Ocean). Players are tasked with solving a series of increasingly difficult series of complex puzzles woven into a metaphysical parable about intelligence and meaning in an inevitably doomed world.